Here is a Blog Article from Marvin Windows. Last year, we took a look back at the trends that inspired us and looked forward to those that had us excited to greet 2018 with open arms. It seems our crystal ball was as polished as our windows are, as we saw many of those trends play out in a big way in 2018. As the snow falls (here in Minnesota at least) and the year comes to a close, we put on our design binoculars to gaze into the year to come, reviewing the trends that might be feeling a little tired, the tried-and-true trends that are here to stay and new design movements underfoot that will bring a unique flavor to the new year. Embodied in the mixed finishes and dark interior window frames we saw gaining momentum last year, bold black accents took on a whole new life in 2018. With matte black on everything from kitchen appliances to cars to bathroom fixtures, the time was right for the extension of black interior finish options beyond our Marvin line, including our Integrity All Ultrex and Wood-Ultrex lines. 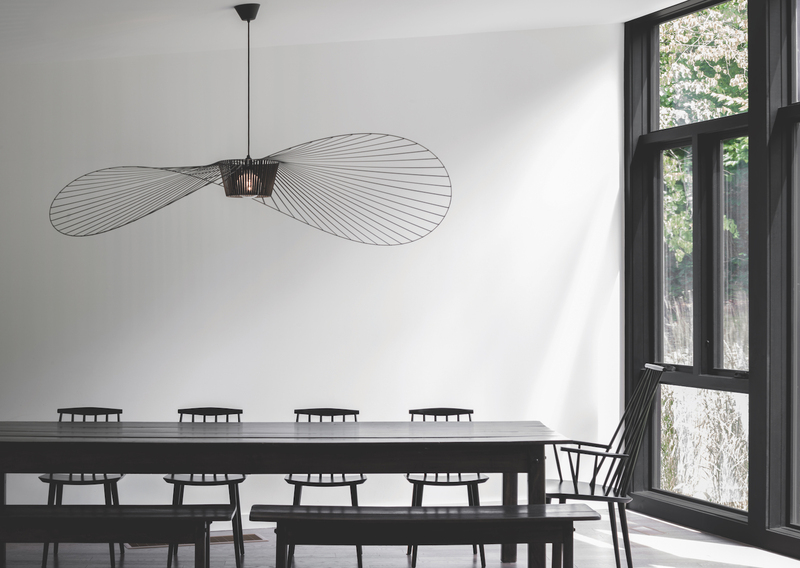 It’s only a matter of time before black shows up on walls, tiles and floors too, so in 2019 we’ll be on the lookout for monochromatic black palettes that take the dark side to a new level. In 2018, we also predicted that the new year would bring narrower frames, bigger glass, contrasting colors and simple hardware that transform traditional-looking windows into architectural statements. We wholeheartedly believe this trend is here for the long haul, and we’re doubling down on our commitment to modern design with the recently introduced Marvin Modern product line. “Today’s lifestyles are about removing encumbrances and opting for simplicity. 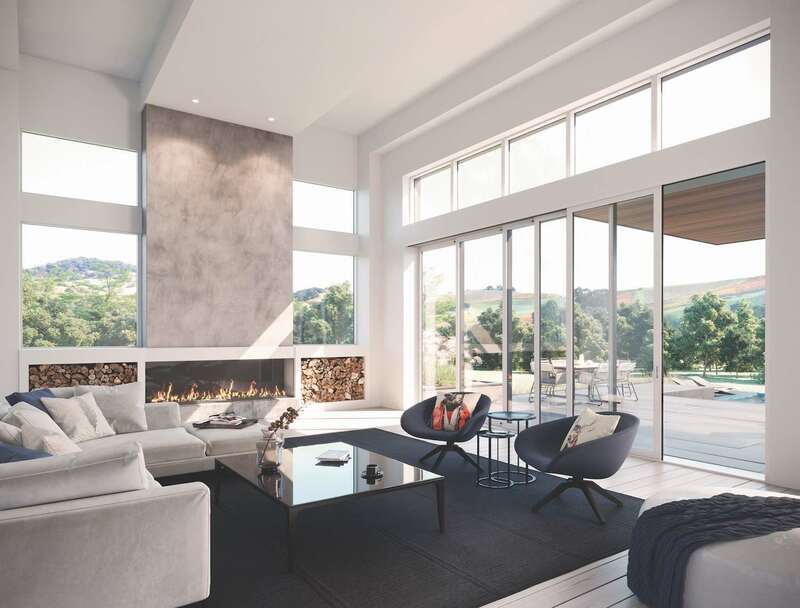 People want spaces that are filled with light, take the eye beyond the boundaries of home and into the outdoors,” says Christine Marvin, our director of corporate strategy + design. 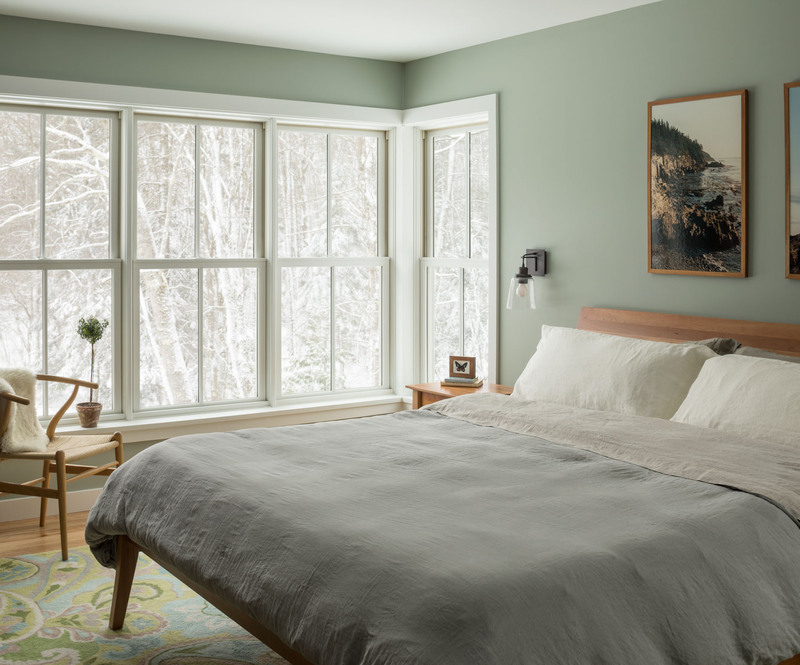 Though we don’t think hygge is making its final curtain call, in 2019, lovers of the cozy Scandinavian trend are gravitating towards bolder choices and earthy materials that evoke warmth and charm in a whole new way. Neutrals are making way for louder, unexpected prints while simple accessories will morph into more eye-catching, sculptural decor. Think less worn wood and sheepskin throws, and more bulky stone accents and abstract geometric shapes. A designer might use the technical term “biophilia” to talk about our innate desire to connect with and look at natural forms and elements while indoors, in 2019, we might see a lot of this trend without knowing exactly what to call it. With more than 90 percent of our time spent indoors, areas designed as an escape to nature, a place to connect with light and views to rest and recharge will become more commonplace in the new year as we seek to better support our physical, social and emotional wellbeing in our homes. In 2018, we noted the increasing importance of the art and science of light in the way a space feels, and we’ll only see the focus on light and health amplify over time.